On September 11, 2001, FBI Special Agent Ali H. Soufan was handed a secret file. Had he received it months earlier -- when it was requested -- the attacks on New York and Washington could have been prevented. 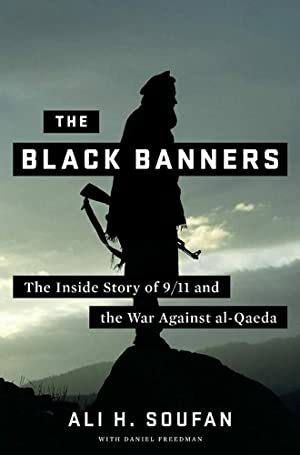 During his time on the front lines, Soufan helped thwart plots around the world and elicited some of the most important confessions from terrorists in the war against al-Qaeda -- without laying so much as a hand on them. Most of these stories have never been reported before, and never by anyone with such intimate firsthand knowledge. Log In to track Ali Soufan on eReaderIQ. to be notified each time the price drops on any book by Ali Soufan. to stop tracking Ali Soufan. Log In to track Daniel Freedman on eReaderIQ. to be notified each time the price drops on any book by Daniel Freedman. to stop tracking Daniel Freedman. We started tracking this book on September 12, 2011. This book was $14.55 when we started tracking it. The price of this book has changed 94 times in the past 2,781 days. The current price of this book is $15.28 last checked 14 hours ago. This lowest price this book has been offered at in the past six months is $14.55. The lowest price to date was $2.99 last reached on June 1, 2018. The highest price to date was $15.49 last reached on January 4, 2019. This book has been $15.49 3 times since we started tracking it. We last verified the price of this book about 14 hours ago. At that time, the price was $15.28. This price is subject to change. The price displayed on the Amazon.com website at the time of purchase is the price you will pay for this book. Please confirm the price before making any purchases.